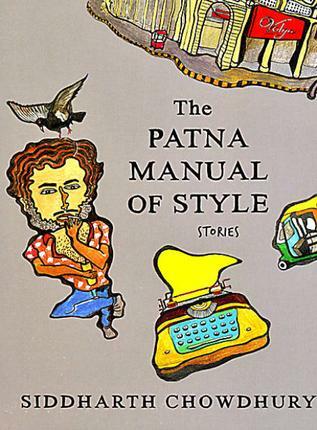 Though Siddharth Chowdhury’s The Patna Manual of Style (Aleph Book Company, 2015) includes the word “stories” in its title, it has to be read like a novel, with the stories following one after another. And while these stories are not arranged chronologically, and even the narrative voices vary, it is only when one reads the final story that there is some sense of completion–almost. A novel, after all, should never be complete; its incompleteness must linger with the reader. Hriday Thakur appears in several of these stories. Read in some order, he has just lost his job, and some time before this he has lost the girl he loved. He even loses his mentor but at the end he does find happiness of a sort, with a job and married to a woman he loves. In Chowdhury’s novel, Day Scholar, which preceded this, Hriday is the wide-eyed and impressionable young university student from Patna, in-part bewildered and blissful–whether it is because of the reckless violence his landlord Zoravar Singh Shokeen is capable of, or due to Hriday’s own obsession with a young girl. But in these stories–though there is a certain writerly detachment about him, given his own ambitions to be a writer–he is more confident, worldly-wise and aware of his own attractiveness to women. On a gloomy, rained out Friday, the Patna Literature Festival, now in its second year, and being held at the city museum, was the only silver lining. Kicked off on Friday, the three-day literature festival will host more than 40 authors, cultural activists, historians, journalists and filmmakers. The second three-day Patna Literature Festival (PLF) will begin here from 14 February to host more than forty authors, cultural activists, historians, journalists, artists and cinema personalities including Gulzar , Vikram Seth, Pavan K Varma, Pushpesh Pant, Ashok Vajpayee and Leila Seth. A Matter of Rats (Aleph, 342 pages, Rs. 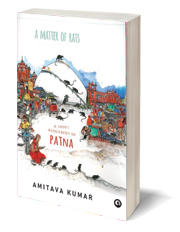 295) by Amitava Kumar never glorifies Patna or defends it. And yet, despite the decline, or perhaps because of it, it feels like a love poem rather than an elegy, writes Oindrila Mukherjee in her review for Kitaab.org. In the late summer of 2001, I was working for the Indian newspaper, The Statesman. Having completed nearly two years as a reporter who had to cover several beats such as crime and corporation as well as incidents throughout the day and night – bomb blasts, fires, laathi charges, and so on – I was considerably more hardened than when I had started out. Still, nothing had really prepared me for my visit to the state where my father grew up and where I had spent the first year of my life (of which I remembered nothing.) As a child, occasional visits to Patna to see the ancestral house in Rajendra Nagar or to visit relatives and my father’s childhood friends were spent in a whirlwind of feasting and merry-making in comfortable homes. The most exciting or dangerous thing that had ever happened to me on one of those visits was when a passing motorcyclist snatched my mother’s handbag from our rickshaw. Even that incident led to remarks like of course this is expected in Bihar. The stereotypes of lawlessness surrounding Bihar grew exponentially as I did. It was considered a dump by not only outsiders who loved to repeat stale jokes about the state’s chief minister Lalu Prasad Yadav (referred to typically by only his first name, a term of derision for a village bumpkin – Lalu,) but even by those in my father’s circle who had been born and raised there.